While this cruise is suitable for most travellers, members should be aware that it may include difficult travel conditions such as very heavy seas and extreme weather conditions, during the transit of the Drake Passage. Landings in the Antarctic will be made by small boat and may involve a number of wet landings. Members need to be fit and agile to get the most from this cruise. All members will be required to have a medical form completed by their Doctor. 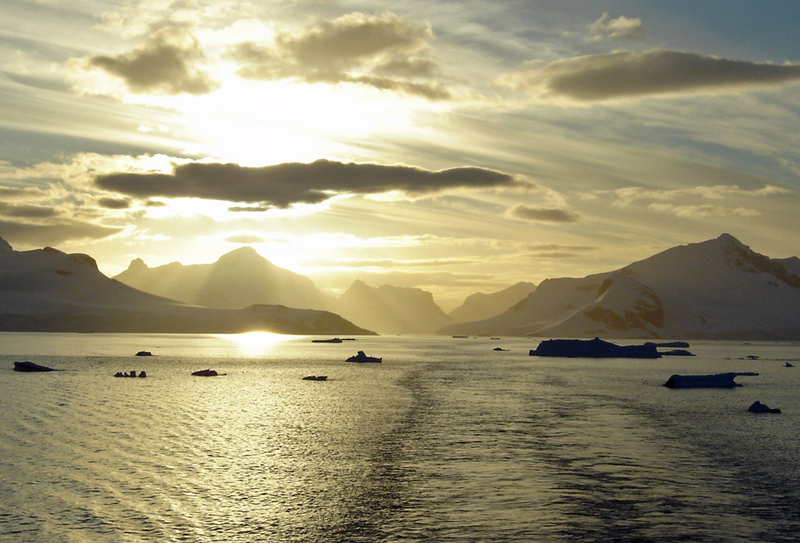 The dramatic scenery of the Antarctic sets this cruise apart from any other voyage. After three nights in Buenos Aires, we fly to Ushuaia and spend 16 days cruising to and exploring the Falkland Islands and the Antarctic Peninsula. Included will be excursions and landings by Polarcirkel boats (similar to Zodiacs) to the dramatic bays, amongst glistening icebergs and past islands dotted with wildlife. February is a great month to visit this region and to experience the penguin as their young are beginning to develop; this is when they are most interesting and photogenic. Experienced cruisers will love this itinerary, combining in depth lectures with visits to the world’s most dramatic scenery, while sailing on a ship that was designed for this style of expedition. The gracious ms Midnatsol, designed for cruising the icy waters of the Arctic and the Antarctic, features a reinforced hull and specially designed loading bays to handle the landing craft while offering spacious and comfortable staterooms with private facilities. Read on, but don’t wait too long. Space on this cruise is already limited and the best cabins will fill early. Call today to reserve your places. Hurtigruten is heading to the Antarctic... and it seems the locals are excited! Group members gather in Toronto for the overnight Air Canada flight to Buenos Aires. 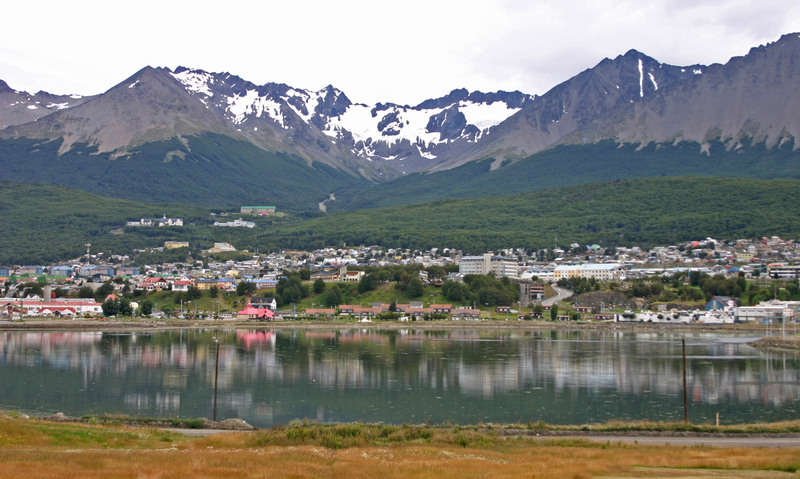 This morning we fly south to Ushuaia, the southernmost town in the world, located on the Beagle Channel. On arrival we will transfer to the ms Midnatsol, our home for the next 15 nights. Later, we sail down the Beagle Channel en route to the Drake Passage and Antarctica. As we sail across the legendary Drake Passage, we can enjoy a series of lectures on Antarctica’s history, wildlife, and conservation. Continue sailing across the Drake Passage. The next six days will be spent exploring the vast, white continent of Antarctica. 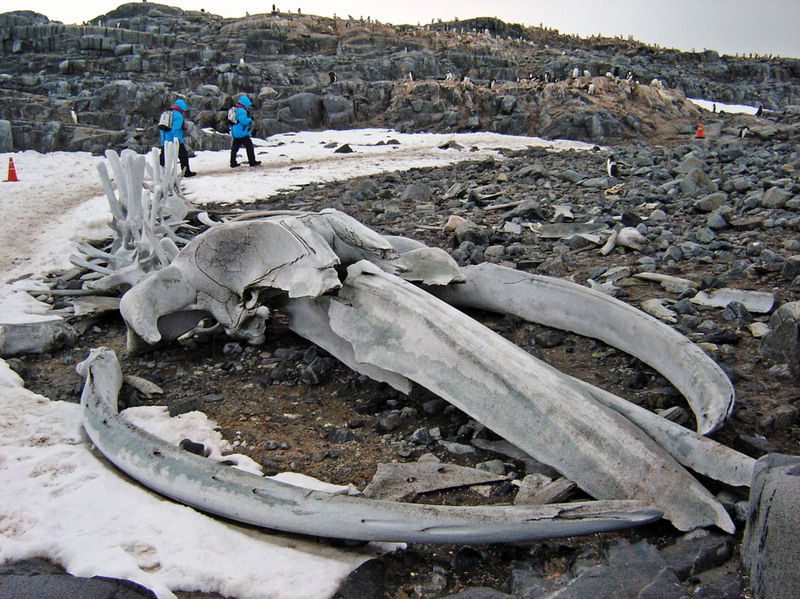 Meet with huge colonies of penguins, enjoy close encounters with wildlife and glaciers, old whaling stations and relics. Weather, ice, and local conditions are crucial to what we will be able to experience and will determine the program. The itinerary calls for 3-4 shore visits using the ship’s Polarcirkel boats. 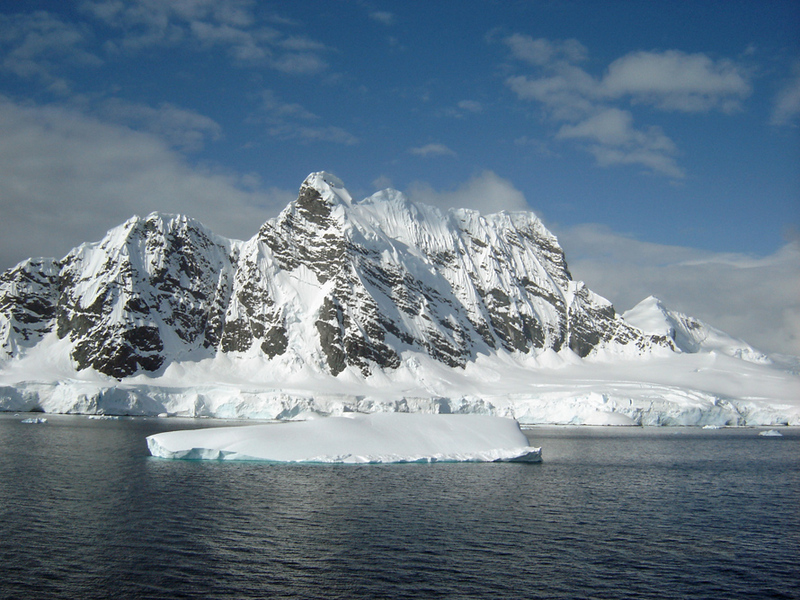 Enjoy the dramatic scenery of the Antarctic! Sail the gracious ms Midnatsol, designed for cruising these icy waters. 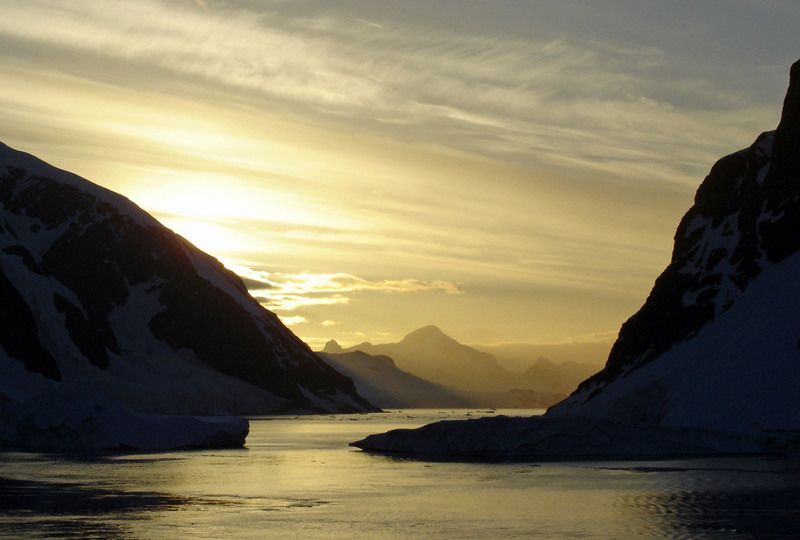 Enjoy onboard lectures and presentations on the Antarctic. Enjoy views of endless white horizons, the ocean full of glorious icebergs and whales. 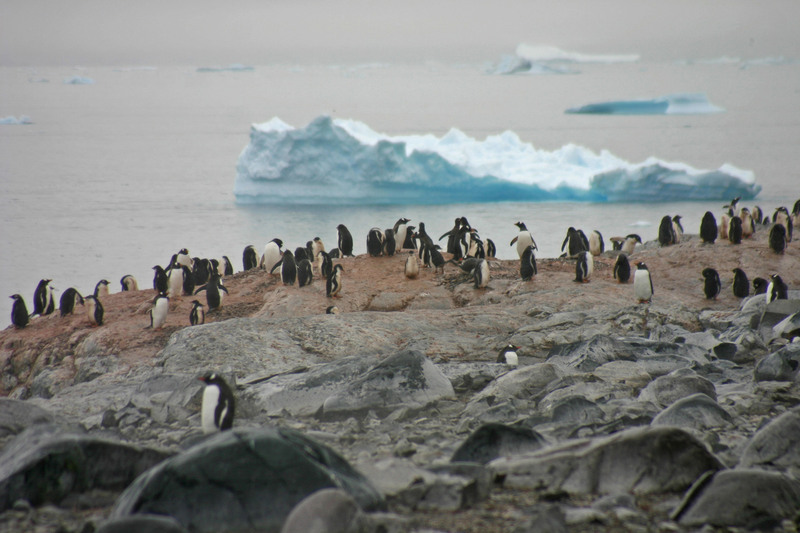 Maybe even more awe-inspiring will be your meeting with the huge colonies of penguins! Our last day getting to know the Antarctica, enjoy! Enjoy the onboard amenities as we venture north towards the Falkland Islands. As we reach the sparsely settled outposts in the Falklands, we see remote farms that have been family-owned for generations. Sheep graze alongside immense colonies of albatross and rockhopper, king and macaroni penguins while predatory striated caracaras patrol overhead and upland geese forage at the water’s edge. The town of Stanley looks like a miniature England, with red phone booths, red buses and English pubs. New Island is an adorable islet, with sandy white beaches and turquoise waters. Pass an old shipwreck on our way ashore and enjoy afternoon tea. Enjoy your second day exploring the Falkland Islands! After exhilarating days in Antarctica and the Falklands, the final days on board are spent crossing the South Atlantic Ocean. Celebrate our new experiences and friendships with a farewell dinner and party. Continue cruising towards Montevideo, Uruguay. Experience the countryside today, the dry ‘Pampas’, home of the Gauchos, Argentine cowboys, as we visit Estancia El Ombu de Areco. Take in the scenery of eucalyptus, magnolias and camellias during a guided horse ride. We return to our hotel in the afternoon. Early this morning we transfer to the airport for our return journey to Canada. Welcome home! While this cruise is suitable for most travellers, members should be aware that it may involve difficult travel conditions such as very heavy seas and extreme weather conditions, during the transit of the Drake Passage. Landings in the Antarctic will be made by small boat and may include a number of wet landings. Members need to be fit and agile to get the most from this cruise. All members will be required to have a medical form completed by their Doctor. 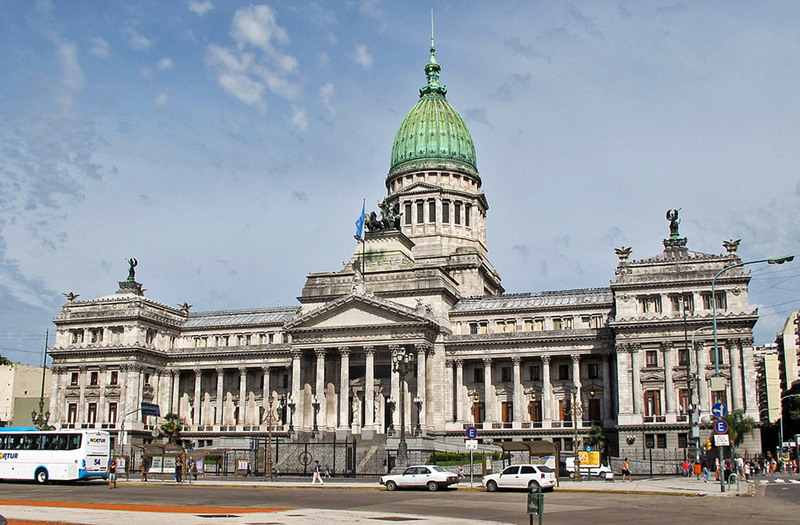 The ‘Paris of South America’, Buenos Aires is one of the cultural and commercial capitals of South America. Distinguished by its proximity to the country and in turn, country living. We journey south across the Drake Passage to Antarctica. The waters here are particularly hazardous, owing to exceptionally strong winds, magnificent waves and contrary currents. In fact, the area faces ever changing conditions. If the weather shines on us, we will go ashore and, with two opportunities, we hope we shall find fair weather at least once. The huge ice shelves of the Antarctic continent give birth to mile-long tabular icebergs. The strong currents of the Weddell Sea conspire to bring these massive flat-topped bergs north into the Antarctic Sound at the northeastern end of the Antarctic Peninsula. Endless white horizons, the ocean full of glorious icebergs and whales. 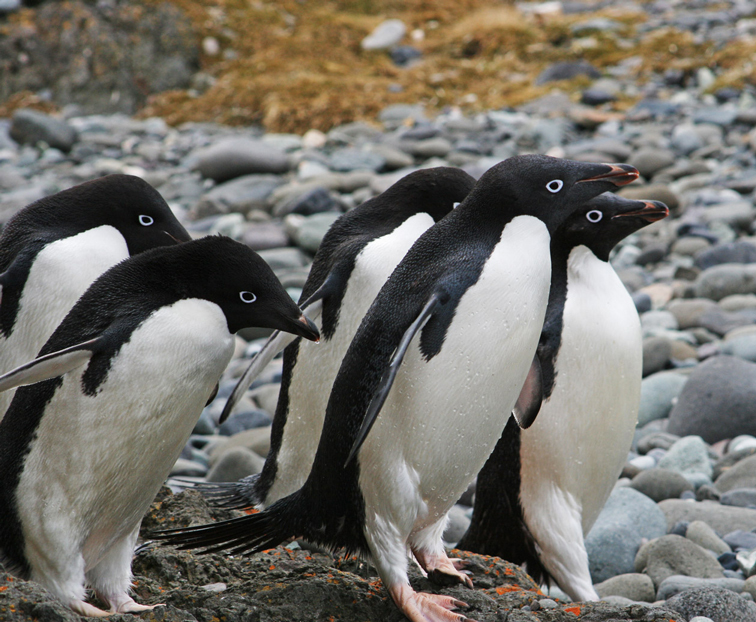 Maybe even more awe-inspiring will be your meeting with the huge colonies of penguins. Sparsely populated and windswept, they are geographically part of Patagonia but located far from the coast. These remote islands are located about 300 miles off the coast of Argentina. Ownership of these islands has been contested for years but has remained in British hands since 1982. Friendly and genteel, Montevideo honors colonial customs: long lunches, siestas and high tea. Nearby is Colonia del Sacramento, the oldest city in Uruguay. It was founded in 1680 and has been a UNESCO World Heritage Site since 1995. Hurtigruten (Norwegian Coastal Voyages) have operated Norway’s coastal ferry and postal service for over 100 years. In the last decade they have set their sails and now cruise the waters of the Arctic and the Antarctic regions as well. In 2003 the ms Midnatsol was built with an ice class 1X rating and is ideally suited to these soft adventure cruises, combining all the excitement of an exploration while retaining the comforts of a traditional cruise ship. At just over 16,000 tons, she will carry no more than 400 passengers in spacious comfort. On board, we will find a dining room, 24 hour café, library, gift shop, internet café, two lecture rooms as well as a number of generous lounges offering panoramic views of the passing scenery. In addition, our ship has a sauna, a small fitness room and two heated outdoor Jacuzzis. All cabins have twin lower beds, a small desk and adequate closet space. The private bathrooms have toilet, shower, hair dryer and heated floors. There need never be a dull moment as we cruise. Designed as a learning experience, we will have opportunities each evening and during days at sea to attend enrichment lectures by the Expedition Team. Dedicated to the small ship experience and to exotic destinations, Hurtigruten have planned an itinerary that will thrill those looking for an educational and an excitingly different cruise experience. Other stateroom categories are available. Above rates are per person based on sharing the category chosen. 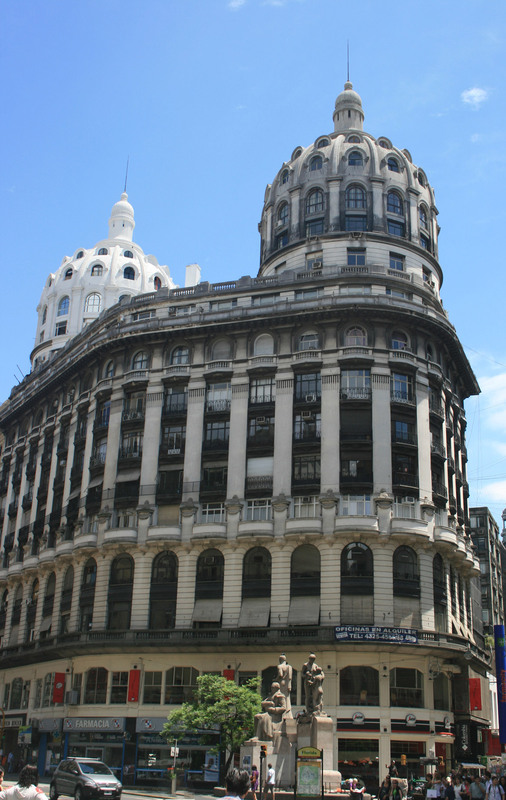 Cruise only costs are based on joining and leaving the group at the hotel in Buenos Aires. See Deck Plan for full details on various categories available. For your complete cost, add the airfare noted below from your home city. Single cabins are on a request basis only. Airfares from other gateways are available on request. Airfares and air carrier are subject to change and will be confirmed prior to final payment. Refer to Inclusive Features for details. Guests may upgrade to business class on flights from Toronto for a supplement. Book and Deposit by July 31, 2018 and save $400 per person. Prices DO NOT INCLUDE the cost of insurance which is available and is highly recommended. Premiums vary with the cost, length of the trip, and the traveller’s age. For passengers up to and including 74 years on departure date, premiums will range from $484 to $759 pp plus applicable taxes. Cost supplements for travellers aged 75-85 will range from $226 to $502 pp plus applicable taxes. Clients 86 years and older and/or clients residing outside Ontario - please contact our staff for procedures. This insurance is effective from the date of purchase and carries limitations on pre-existing medical conditions. Please discuss your insurance coverage prior to booking. Refer to terms and conditions for more details.